On a weekend when the Verizon Center is having three of its biggest concerts, one of the major Metrorail lines that leads to the venue will be experiencing significant delays. The Brookland, Takoma, Silver Spring, and Fort Totten (red line only) stations will be closed from 10 p.m. Friday to closing on Sunday. Free shuttles will be available between Rhode Island Avenue and Forest Glen. The Orange Line will operate on a normal weekend schedule between the Vienna and Cheverly stations, single tracking between Cheverly and New Carrollton. Every other Orange Line train will run between Vienna and Cheverly. Passengers traveling to or from Landover or New Carrollton should expect to add up to 15 minutes to their travel times. 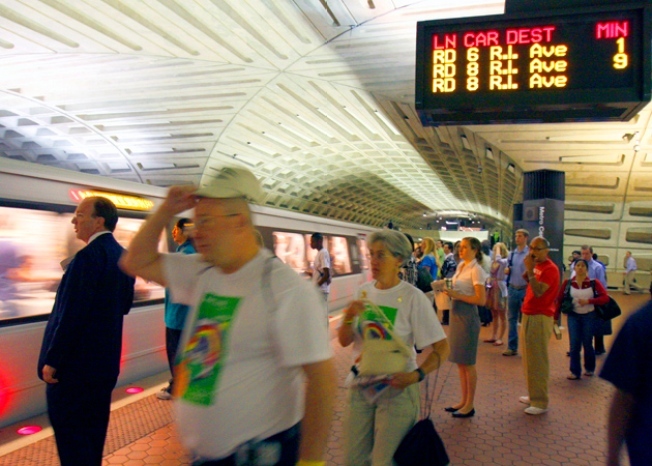 The Green, Yellow and Blue lines will operate on their normal weekend schedules. The Verizon Center urges anyone planning on taking the Metro to see either Bruno Mars or One Direction this weekend to add 10 to 15 minutes to their commute.